Getting married to your loved one may look like a fairy tale, whereas in some cases it may end up in a roller coaster ride. Many people are hiding their emotions and feelings in their marriage and fear to reveal that they are living an unhappy married life. This article will clearly explain the main aspects lagging behind each couple resulting in unhappy marriage life and some tips to resolve them. Once you get married and start living as a couple, being trustful to one another is one of the basic aspects and important factor which decides the future of your marriage life. So it is the responsibility for each couple to maintain the trustworthiness in each other. If either you or your partner starts to lose the trustiness, then it will surely lead to unhappy marriage life. Intimacy is a feeling that develops between the couple in a slow and steady manner. The attractiveness between each other is considered as a parameter for it. Once you start to love your partner, the intimacy will develop on its own between each other and acts as a bridge on your marriage life. So lack of intimacy among couples is one of the reasons for this issue. This has now become one of the key aspects for lack of happiness in marriage life in today’s world. The couple should make themselves clear about each other at the initial stages of marriage life. The reason why we are saying this is, because of misunderstanding small issues get converted into big problems and also featuring to be the reason for most divorce cases. One of the major factors completely removing the happiness in marriage life is the lacking of sensual love making. This problem is mainly because of the fear about the session or some other reasons which affect their interest in bed. In a couple, when one is passionate in love making and the another is not so passionate then it would really lead to frowning faces, making it one of the aspects to be blamed. There have been many cases at times where there has not been enough time spending by the couples with each other and always getting committed or hanging around with some other works. This may cause a great upset and anger towards each other. If it happens either once or twice it can be tolerable, whereas if this has become a habit, it is surely going to reflect in the present life. Many have the habit of maintaining an affair outside home, be it a man or a woman even after their marriage life. The happiness of keeping an affair only remains until it is a secret. Once the secret gets revealed, then you get totally lost in your marriage life. In addition, when there is more of happiness you get from the affair rather than your present married life, you start to show your dislike towards marriage life. Women are the most affected ones in this scenario than men. Many of us have the habit of discussing our life after marriage with our friends or colleagues once we get engaged to someone. But the bitter truth, we have a lot of expectations and thinking about our partner and try to plan out things, keeping in mind the criteria’s you have in mind. It is good to have some expectation, but never expect too much from your partner, as it may backfire sometimes leading you to disappointment. At some instance there many have been times whether important or some common decisions in the family involving more of a family rather than letting it be done among the couples on their own. This may disturb the minds of the partner which may directly influence in showing some signs of disagreeing between them. Ultimately, this creates a gap between the couples and may well be one of the causes of unhappiness in marriage life. Libido is a hormone that excites the male as well as the female at the time of love making. But there are scenarios where there is more excitement in one of the partner while the other has already got fulfilled. This leads to frustration in your partner as it can be guessed that you may be repeating the same always and may lose interest in you. This can also lead in losing the pursuit of happiness in life. Attitude may also determine your life after marriage. Finding out the character and sensibility of your partner and adjusting yourself to his/her behavior will be a good example of positive attitude. There are many people who never understand their partner and show an attitude which is irritating their partner and also creates some dislike in them creating a relationship gap between them. You can be tempted to follow some of our tips to avoid getting into an unhappy marriage life or also you can re-build your relationship with your soul-mate after reading these points. Try to know the likes and dislikes of your partner at the initial stages of your marriage to get a clear understanding of how much you both can co-operate and maintain a mutual understanding between each other. If you start to do this, we are sure that you will be blessed with a happy and a peaceful life. Create a line of trust with your partner and you start to trust your partner at all times, which will make them to also do a replica of what you have done to them. This creates a feeling of having an established level of trust between you both which will surely lead to a happy life. Try to get a break-up with your affair after you get married to avoid disaster post marriage. Now a day’s women are very capable of easily catching their husbands who have affair outside home. 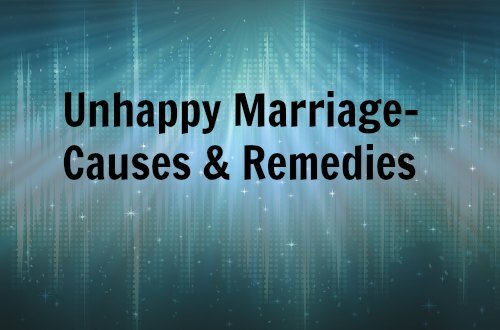 This not only creates unhappiness in your marriage life but may also lead to several other problems among your family. Find the best complimentary thing in your partner to get attracted towards them. This will create intimacy between the couples and also creates a romantic feeling around you both which also increase the depth of love in the couples. Spend time with your partner as much as you can and give excuses only at unavoidable circumstances. When your partner thinks that you are the whole world for them, but you make excuses to avoid them will create a gap and sense of anger in them. So spend time with your love to maintain a smooth relationship. If you have the feel that you are not able to fulfill your partner’s dreams and desires in bed, then don’t get upset initially. There are some better ways to improve your libido and fulfill your partner’s desires. Yoga and meditation are such ways in controlling the body and mind in a fantastic manner. Never get angry or irritated in any scenario. Understand the situation and your partner clearly to get rid of all these misunderstanding problems and create a smooth platform among yourselves.